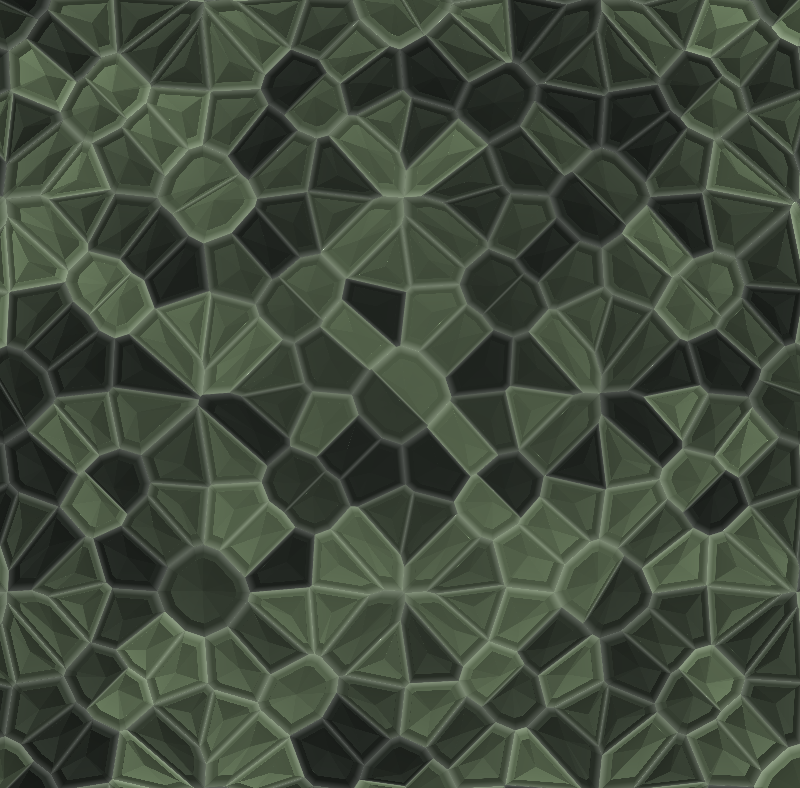 Want to be notified of new releases in juliango202/Cellule? NOTE: this project has not been updated since 2008. See Grasshopper 3D for a more usable implementation of this idea. 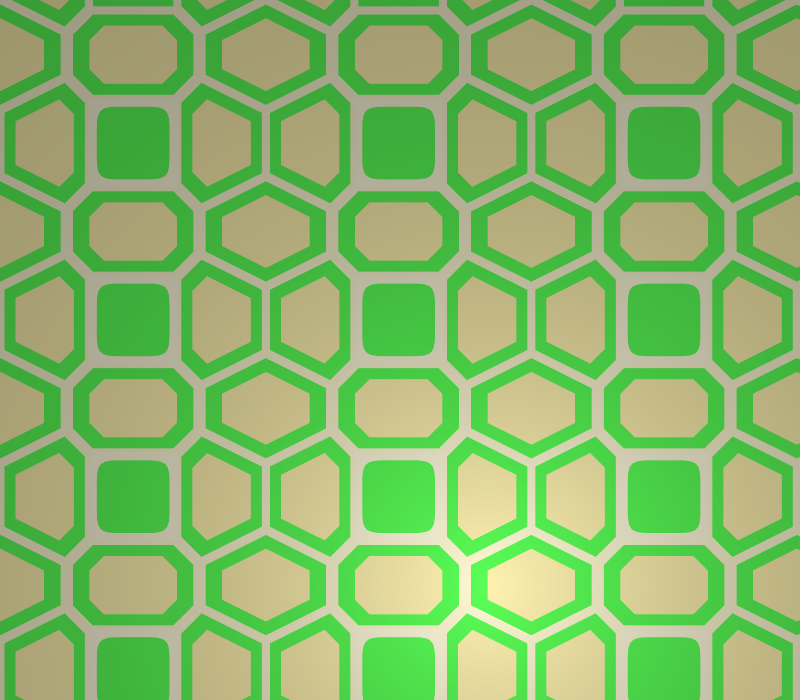 Cellule is a fast 2D cellular pattern ( Delauney-Voronoi ) engine written in C++ and cross-platform. 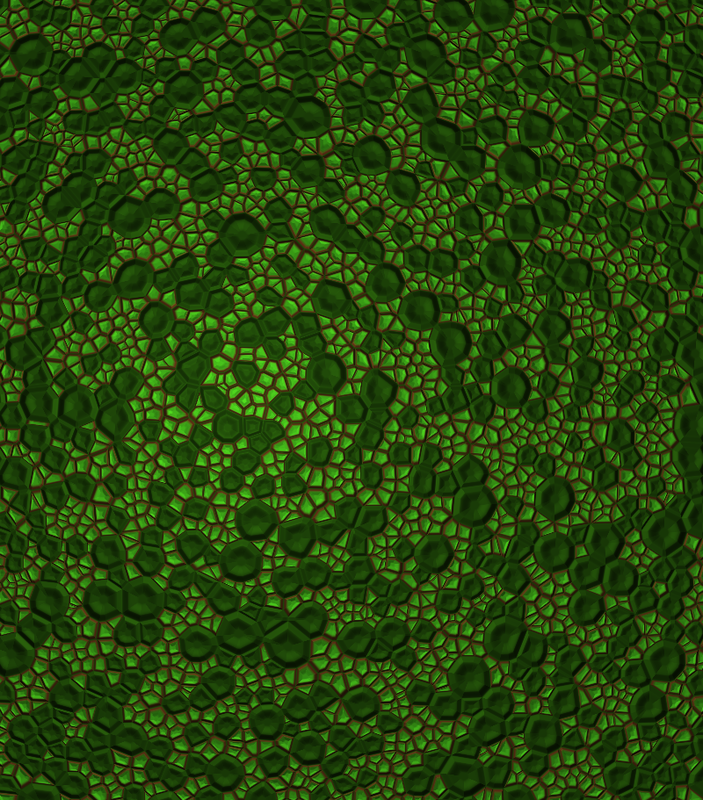 The main goal was to generate interesting cellular procedural textures of infinite resolution. 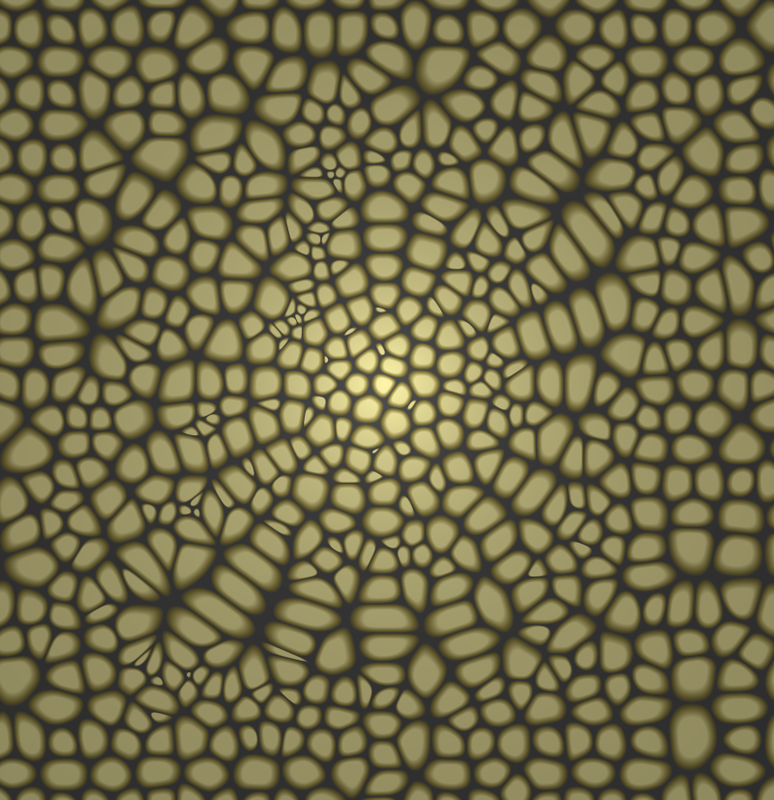 The Cellule foundations library ( CelluleF ) implement the data structure which is a 2D Delauney triangulation ( the corresponding Voronoi diagram is implicit ) of a set of circles ( weighted points which give the cells of the Voronoi diagram ). 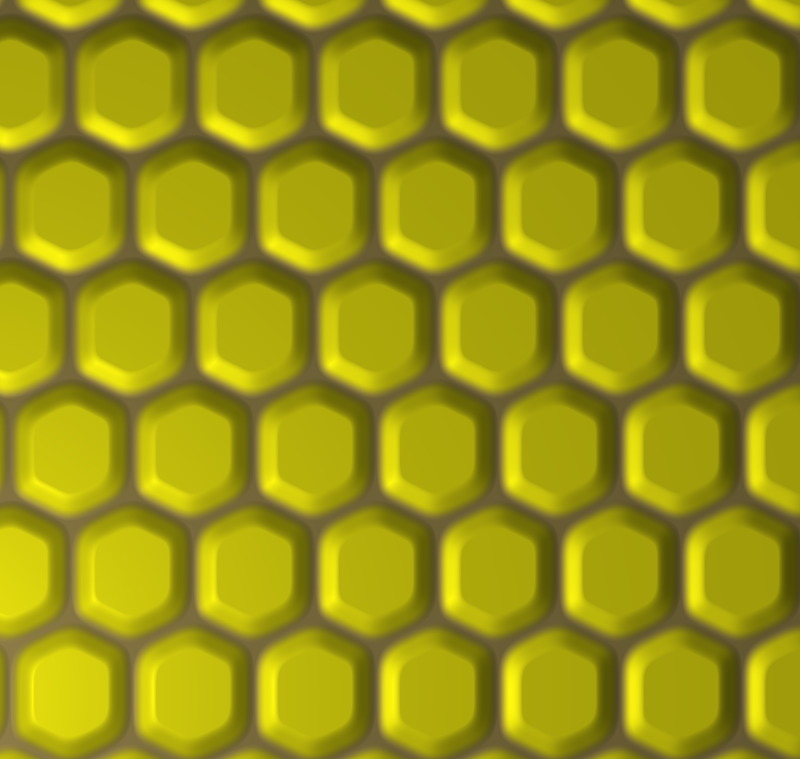 Cells can be added moved deleted dynamically and efficiently. 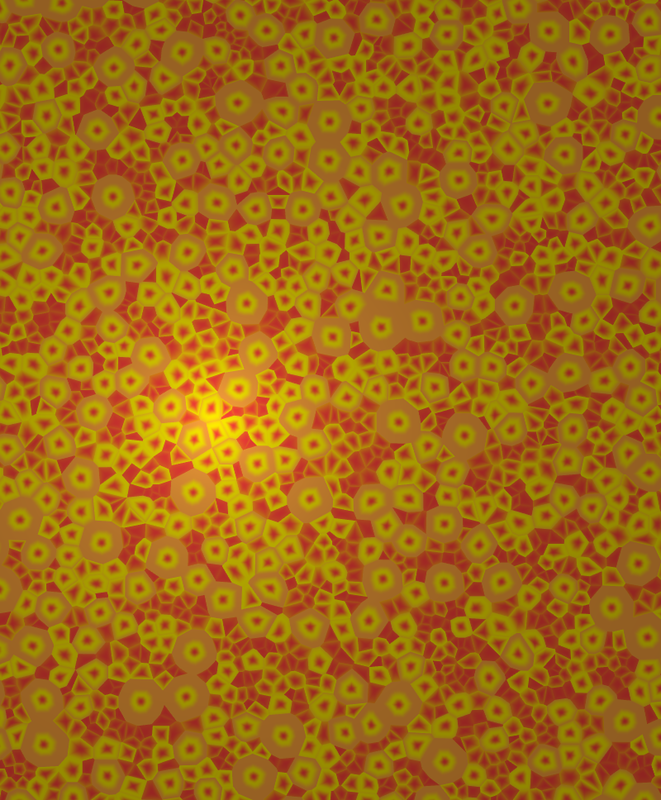 The structure can quickly return the cell enclosing a given 2D point. Manipulating thousands of cells is ok. 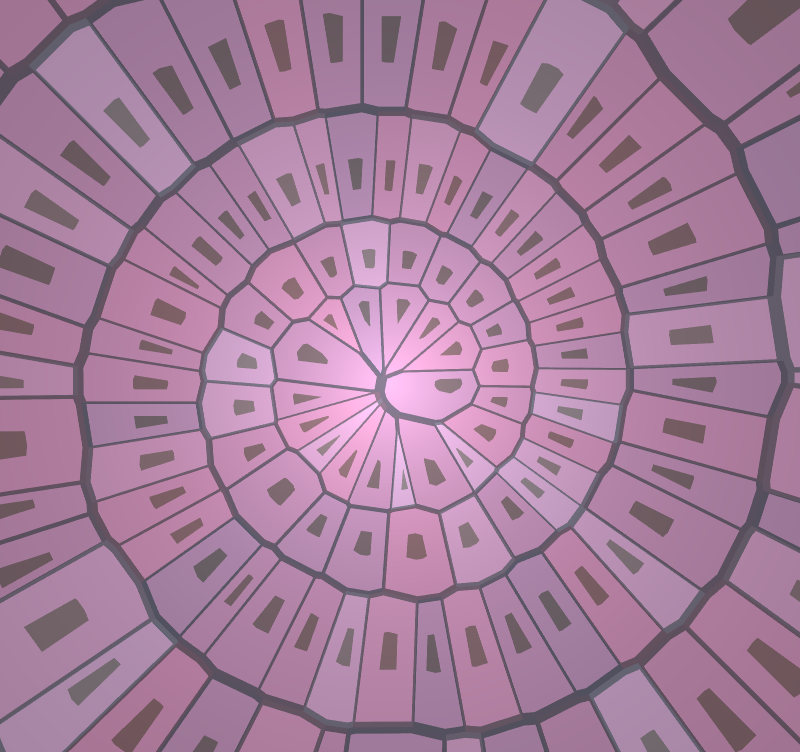 The executable Cellule program is a GUI to create, modify, and visualize cellular patterns. 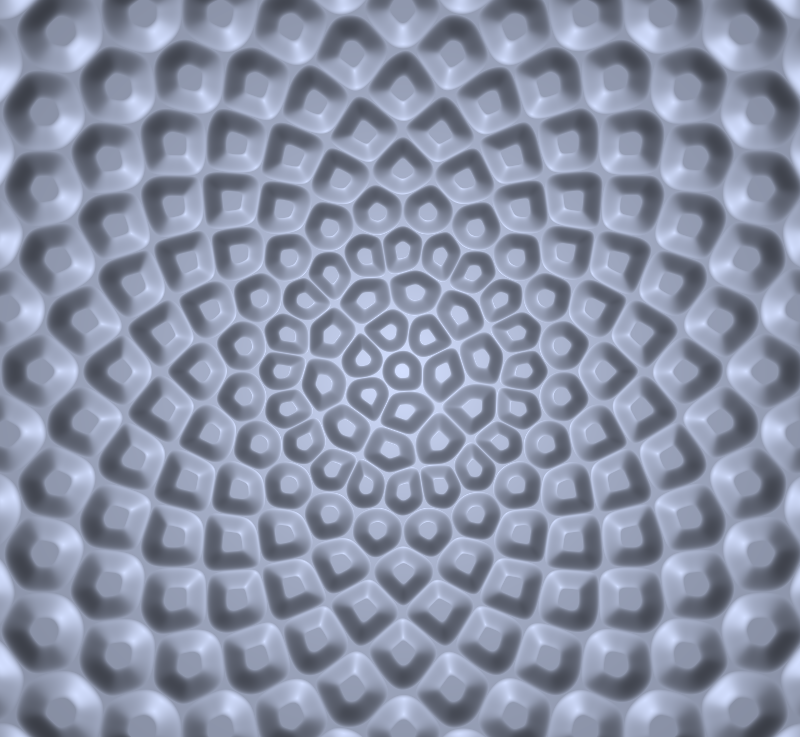 Each pixel of a cell is textured according to the shortest distance to a voronoi edge. 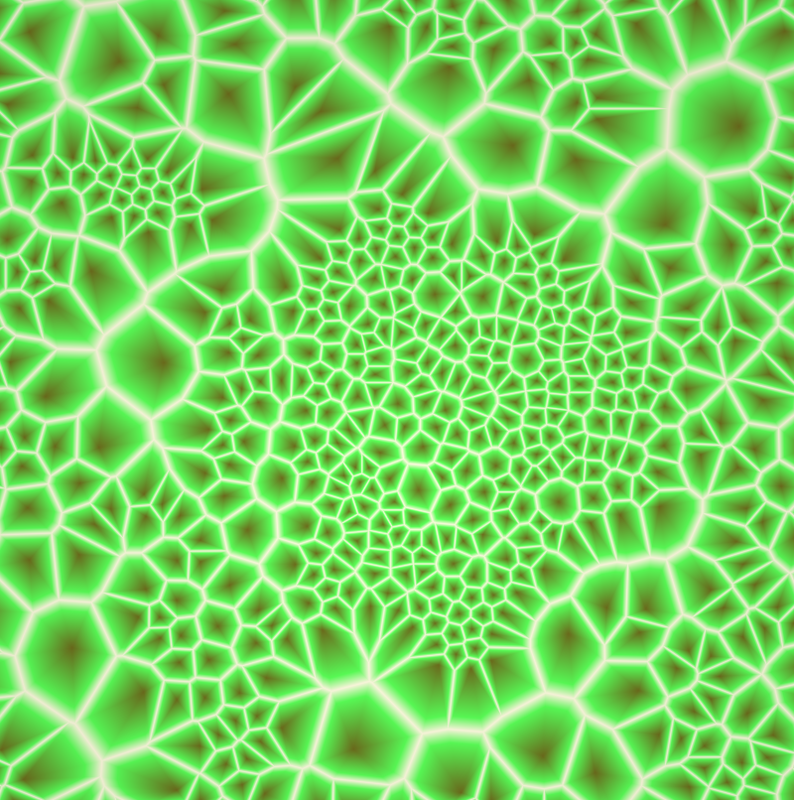 To be able to support arbitrary smoothness of cell contours, we build a bspline along the Voronoi edge before computing the distance.